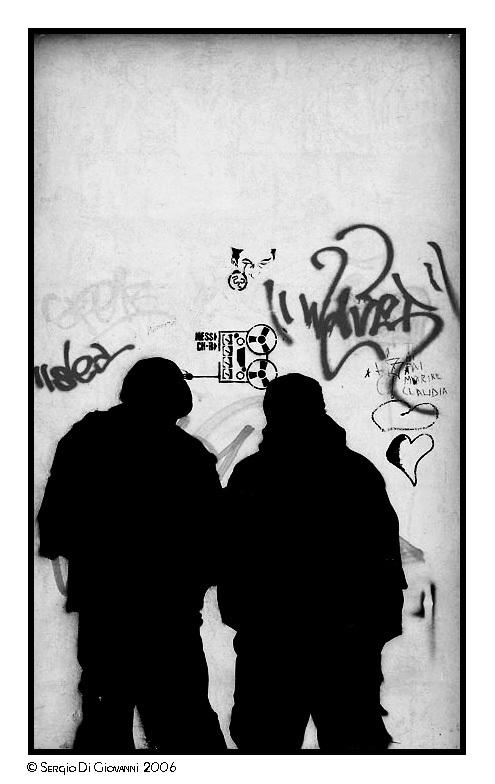 MyOlympus.org > Private folders > Some photos > Street art! ! Very cool. I like the mood. Refreching,nice silhouettes,good composition,perfect mood in black and white. > Very cool. I like the mood. > Refreching,nice silhouettes,good composition,perfect mood in black and white. Artwork!! Well done, nice processing! I'm interested to know: are those silhouettes "cut out" of the photo? How did you process this? > Artwork!! Well done, nice processing! I'm interested to know: are those silhouettes "cut out"
> of the photo? How did you process this?